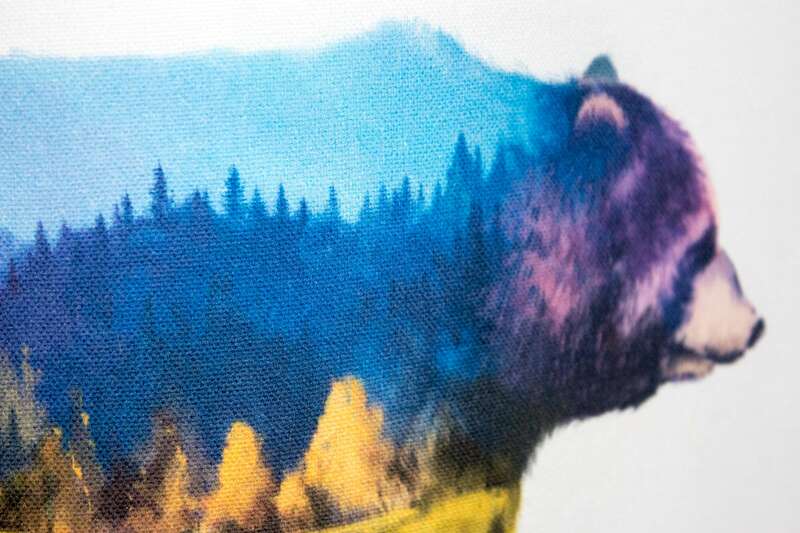 This majestic grizzly bear carries all the color and glory of a gorgeous mountainscape, almost as if it's in her very soul! 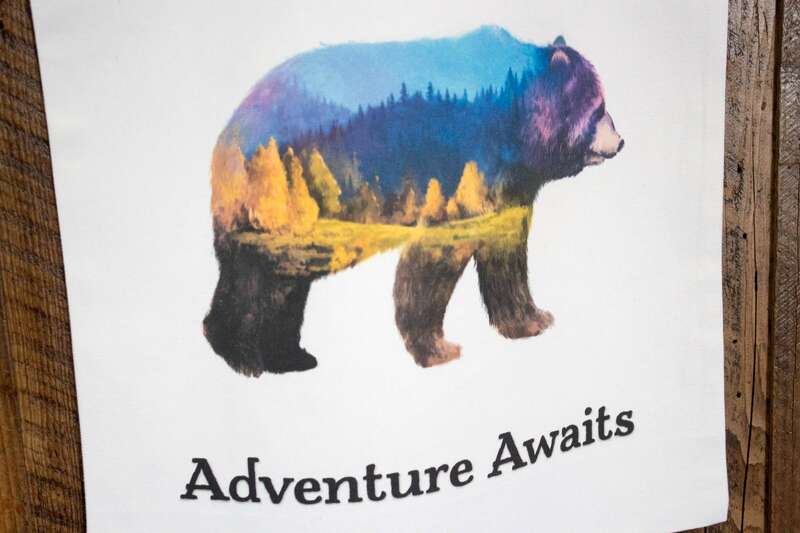 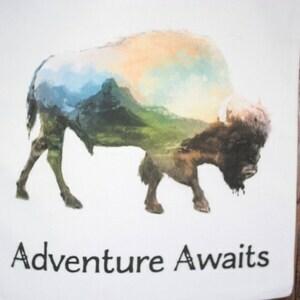 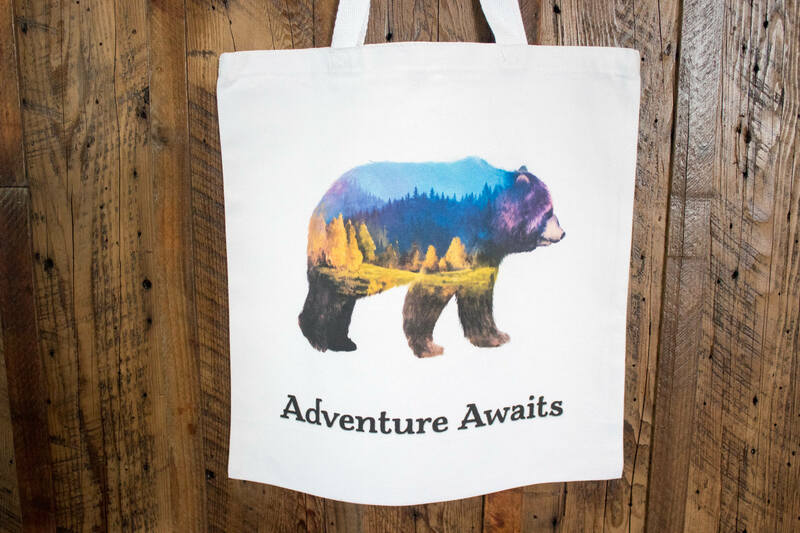 Adventure surely awaits wherever she goes, and it's a beautiful reminder to carry the colors of the wild in you as well! 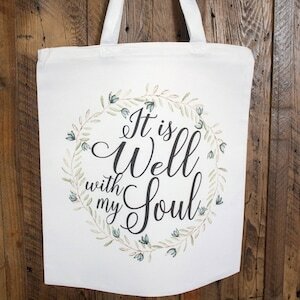 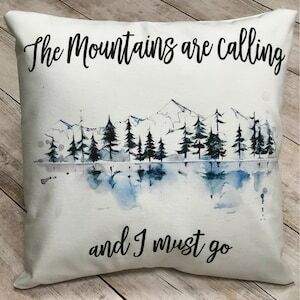 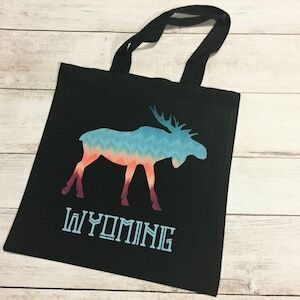 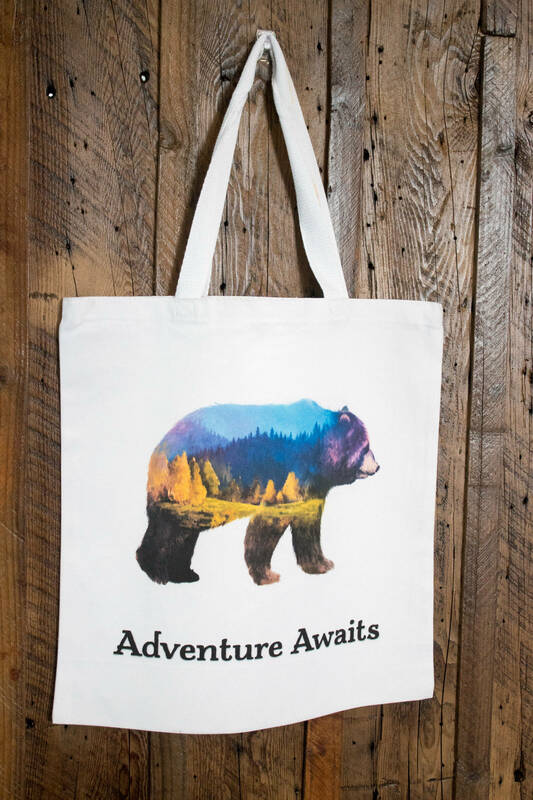 This well sized canvas tote measures approximately 15" wide by 16" tall so it's a great size to carry your planner, notebooks, laptop, journal, maps, granola bars... whatever your adventure calls for!